Work to improve the security of the Christchurch’s water supply is moving forward, with the approach confirmed for upgrading 72 of the city’s wells. “We’re making good progress on the initial round of work on 23 wells at seven pump stations which will allow us to stop chlorination at those pump stations. 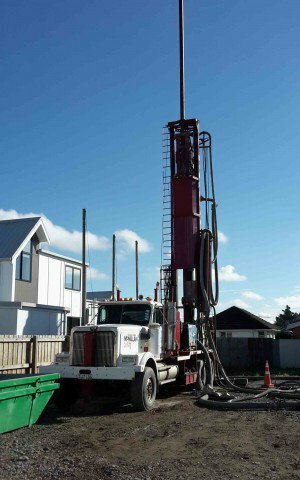 Now we have a confirmed approach for a further 49 wells at 17 pump stations,’’ Christchurch City Council Water Supply Programme Manager Helen Beaumont says. “Once this work is done and the wells signed off as secure, about two-thirds of the city’s water supply will be unchlorinated,” Ms Beaumont says. In most cases, the confirmed approach for the next round of work involves raising below ground well heads to above ground. “The pump stations included in this next round of works have been prioritised after considering the security of the source water, the capacity of the pump station and the likelihood of being able to progress the works without undue delay," Ms Beaumont says. “The timing of the works will depend on the availability of drilling machines and specialist contractors. It is also constrained by the number of wells that can be taken out of service, especially over the summer months when there is high demand for water. “In order to meet normal summer demand, we would need to have almost all of the pump stations in service. Unless people are willing to cut back on their water use, we won’t be able to do much work over summer. We may also have to resume using the below ground well heads we’ve shut off which means water from those pump stations will have to be chlorinated. “We are going to survey residents to test whether they would be prepared to have tighter water restrictions so we can get work done more quickly, or what their preference is for watering the garden or having less chlorine in the water supply," she says. Construction on the wells included in the next phase of work is likely to begin in 2019. Staff continue to explore options to accelerate the work programme. Meanwhile, minor remedial works on the above ground well heads at seven pump stations will soon enable those bores to be signed off as secure. “At those seven pump stations, we can take the bores with below ground well heads out of service and maintain adequate supply from the remaining bores with above ground well heads. This means that as long as that water demand stays low, we can stop chlorinating the water," Ms Beaumont says. “At nine other pump stations we’ve been able to lower the chlorine dose. We’re planning to reduce the chlorine dose at a further six stations so by the end of this month there will be significantly less chlorine in our water supply network." A report outlining all the work being done as part of the water supply improvement programme will be presented to the Mayor and Councillors this week.